Despite October being a very busy month, it ended on a high note with the 2018 Outdoors Queensland Awards. Held on the last Friday of the month, the Awards Dinner was a fun night of great conversation, good food and of course the award presentations. The winners, chosen from a strong field of award finalists, were both inspirational and humble in their acceptance of their awards. Check out the winners and finalists – you too will be impressed by the quality, and inspired by the stories. Our guest speaker for the evening was Jemma Wilson, a professional trail bike riding champion who entertained us with stories of her riding exploits and showed us that trail bike riding really is an ‘outdoor activity’ to be enjoyed. An opportunity to attend our Organisational Development Workshop that is designed to encourage small businesses and clubs in the outdoor sector to look at ways to improve how they run their operations. It is a free workshop, and all are welcome. We are also hosting an online survey on horse riding in Queensland to better understand demographic and geographic riding patterns. We encourage all riders to fill out the survey as this will help in maintaining and developing opportunities for horse trail riding in Queensland. Finally, I’d just to say that we are your peak body and we always enjoy the various interactions we have with our members and others. We encourage you to get in touch with your ideas, issues and good news stories. Hello everyone. Welcome to 2018. What should be a wonderful year for the great outdoors We’re looking for plenty of ways for you to engage with QORF throughout this year. Right now we have the 2018 Visioning the Outdoors Film and Photo Competition – it’s open for entries as we speak and there are some prizes to be won so everyone should get out there and try to inspire other people to do wonderful things out there. We’ve also got our AGM coming up and outdoor recreation forums. Plenty of opportunities. Later in the year we’re going to be running a symposium and we’re looking for people to be engaged in that space as well. The big thing that I’d really like to put out there for everyone is to think about the way you interact with the outdoors, what activities you provide or what activities you participate in and are there better ways that you could be doing that? How could you engage with other people doing similar things and are there specific needs that you have that QORF needs to know about? If so, please get in touch with us. 2017 was a busy year for both QORF and Nature Play QLD and 2018 is shaping up to be very similar. We have a number of important projects on the go, and several events for you to attend. We look forward to working with you all throughout the year, as together we celebrate the outdoors, protect and enhance the environment and develop more opportunities for more people to take part in outdoor activities in Queensland. 2017 has been a very busy year for both QORF and Nature Play QLD. Looking back over the last 12 months there has been lots of activity, lots of boxes ticked and lots to be proud of. My heartfelt thanks to all of the QORF and Nature Play staff, to the QORF management committee members, and to all our members who have contributed so much to our activities over the last twelve months. We are all looking forward to a break over the holiday period in preparation for all the great things we have planned for 2018. We look forward to working with you all next year, as together we celebrate the outdoors, protect and enhance the environment and develop more opportunities for more people to take part in outdoor activities in Queensland – so we can all live life outdoors. Merry Christmas from QORF and a very happy New Year! 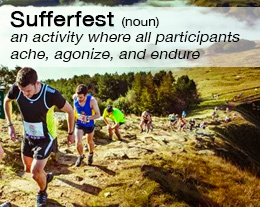 Sufferfest (noun) – an activity where all participants ache, agonize, and endure… but through co-misery and cohesiveness will have experienced a grand time. Queenslanders seem to enjoy a good sufferfest – every stinking hot summer day, we cannot restrain ourselves from reminding each other exactly how bad the weather is, although it is really all relative. Some people enjoy sitting at an event and continually remarking to their friends how hot it is, apparently forgetting that they could simply stand up and leave if it were really so intolerable. Many outdoor experiences are effectively sufferfests. At the Outdoors Queensland Awards recently, we heard all about a sufferfest on the Iditarod Trail from Troy Szczurkowski. People participate in events like Oxfam Trailwalker, Cycle Queensland, and canoe marathons, and in the same breath will regale us with stories of both extreme suffering and extreme achievement. Queensland has just suffered its way through an election. During the last few weeks, candidates of all political persuasions have put themselves through the wringer trying to explain policies and convince us why they should be elected. At the time of writing, we are collectively enduring the situation of not knowing for sure who will form government and wondering how that will work for the next term of government. Congratulations to those who have been (or will be) elected. When implementing policy with potential to affect the outdoor sector, I urge every elected representative to take the time to consider the outdoors and the election position statement that QORF distributed prior to the election. That might result in more good things as a result of the election. If decisions are made with that lens in place, things can improve for the outdoors and for all people of Queensland – the alternative is that the outdoors is ignored when decisions are made, and we endure needless suffering without any of the participants having a grand time. 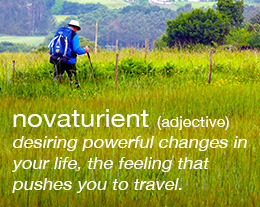 “novaturient” (adjective) – desiring powerful changes or alterations in your life, behaviour or situation; the feeling that pushes you to travel. On Friday 27th October, we celebrated the 2017 Outdoors Queensland Awards. Our awards dinner is all about the inspiration provided by nominees, finalists and the award winners. We learnt about people and organisations who are contributing to powerful changes in the lives of many other people in Queensland and beyond. Troy Szczurkowski delivered an inspiring account of his adventures in Alaska on the Iditarod Trail. Please take the time to check out the winners and finalists – I suspect you’ll be inspired to travel or maybe to make other powerful changes to your current situation. The Hon. Mick de Brenni MP, Minister for Sport (and Recreation), provided the opening speech for the awards dinner. It was great to have the Minister attend the awards, and we look forward to further developing the Outdoors Queensland Awards into an event of such significance that we require larger and larger venues. On the Sunday after the Outdoors Queensland Awards, the Premier called the State election. Perhaps the Premier was experiencing that sense of “novaturient” – calling the election has ensured that there will be plenty of travel across Queensland during the campaign. QORF has released an Outdoor Recreation Policy Statement for this election, which includes specific calls for action. The Outdoor Recreation Policy statement was developed by QORF staff and Management Committee on behalf of our members and the outdoor sector. We have sent this directly to political parties, and invited each party to commit to the actions. Please read this statement for yourself. I encourage you to contact all of your local candidates, and ask whether they or their party is willing to commit to the call for action that we have requested on behalf of the outdoors. We believe that the outdoors is important – we should ensure that the candidates who are seeking to represent us understand how important. If every person who receives this eNews sends an email to each of the candidates for their electorate, that might push the political parties to make powerful changes or alterations to their policies regarding the outdoor sector. The year keeps rolling along, and we find ourselves in October, with serious warm weather across most of Queensland. Temperatures across the state are creeping up yet again, into the high 30s and beyond the dreaded 40 degree mark. 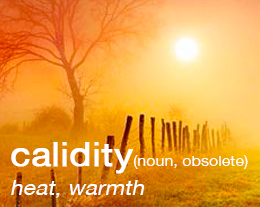 Weather is always a popular topic in our society, so if you need to add some variety to the “It’s a bit hot out there today” statement, perhaps give “calidity” a try – for example, “How’s the calidity today!” It might just catch on. Understanding the weather plays an important role in planning for outdoor activities, since we are more in touch with weather systems when outside. “Bad” weather can ruin a trip if we are unprepared, or it can be a memorable part of an experience when we cope with it well. Marriage equality is currently a very hot topic across the country. QORF hasn’t taken a position on how people should vote in the postal survey. QORF’s constitution states that the organisation values “equity” and “diversity of … groups/individuals”. We respect the fact that there will be differing views from people who make up the Queensland outdoor sector, and we ask that every person who is eligible to have their say prepares for the survey by taking efforts to understand the issue and makes an informed decision. The heat is on for the Outdoors Queensland Awards, which are quickly approaching. Finalists will be announced soon, with winners to be celebrated at the awards dinner on Friday 27th October. Will you join us for the celebration of wonderful and inspiring actions of you and your friends and colleagues? I took a couple of days off work during August to go camping in one of Queensland’s terrific National Parks. My thanks for enabling this go to the QORF and Nature Play QLD team who covered for me while I escaped, and I must also mention the Queensland Parks and Wildlife Service staff and everyone who has advocated for the protection of our natural areas. My wife and I weren’t in a remote part of the state – just a lovely little spot in the Sunshine Coast hinterland. 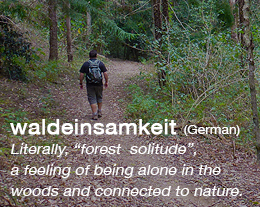 However, we still experienced the feeling of “waldeinsamkeit” for some precious hours. Part of that was the fact that our camp ground and surrounding area had zero phone reception – no checking work emails, no text messages, no Facebook, no newsfeeds! I’m not sure whether it is possible to be “alone together”, but that was the sense we had, and it made the trip a good one. After my short break, I am looking forward to a big finish to 2017. Nominations are now open for the Outdoors Queensland Awards (the new name for what has become known as the QORF Awards) and tickets are on sale for the awards dinner on the last Friday evening in October. We will be running forums and surveys on various topics in coming months, and we lok forward to your involvement in those activities – if you have ideas about possible topics for forums, please contact us. Crepuscular rays appear to converge on the sun. 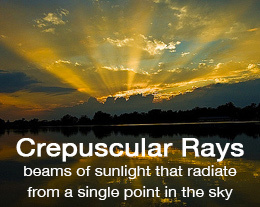 Anti-crepuscular rays appear to converge on a point of the sky opposite the sun, sometimes seen in the eastern sky during sunset or the western sky during sunrise. Rays of light from the sun are effectively parallel to each other, but our perspective on the ground causes the rays to appear to fan out from one point. Perspective is a critical ingredient in this mix. QORF aims to develop and promote quality human experiences in outdoor environments. We advocate for a wide range of benefits that can be achieved by having more people in the outdoors more often. It is a wonderful product that virtually sells itself, with most people seeming to have an innate understanding that the outdoors is “good” for them. However, the perspectives of different people can affect their levels of participation. Many people seem to think that this modern world doesn’t provide enough time to get outdoors. However, there is 24 hours in every day. You can encourage people to put things in perspective, prioritise what is good for them, and find time to get out there. Before you head outside, have a good read of this edition of our monthly eNews – as always, there is plenty to absorb, with various happenings converging on the world of the outdoors. Speaking of cycling, QORF and MTBA will be co-hosting a SEQ MTB Forum at Ipswich in September. It is great to see a high level of interest in that forum. Winter (or that time that Queenslanders refer to as winter) is a great time to visit our Great Barrier Reef. Check out the recent report from the Great Barrier Reef Foundation, which estimated the recreational value of the reef at $246 million per year, and a total asset value of the reef at $56 billion! The Great Barrier Reef is indeed too big to be allowed to fail, and urgent action is required to preserve/conserve this natural wonder. Our Visioning the Outdoors Film and Photo Competition winners have been announced. On behalf of all at QORF, I want to thank everyone who submitted an inspiring entry. The winning entries are very high quality, and it goes to show how many talented people are venturing into the outdoors. Speaking of talented people, it is time to think about nominations for our annual Outdoors Queensland Awards. The award categories and criteria will be available soon – there is a fair chance that if a person or organisation has done something wonderful in the outdoors then their achievements will fit within at least one category. QORF’s Nature Play QLD project continues to make wonderful strides towards making outdoor play a normal part of childhood again for Queensland children. Please feel free to visit the Nature Play QLD website and sign up for the Nature Play QLD newsletters and the wonderful social media channels. Last month I cogitated on the fact that many in our society don’t have time to listen to the wind, and this month I’m rambling about finding time to appreciate the gloaming. Perhaps we should reflect on the fact that those of us who do get outdoors are receiving a wide array of benefits, whether we are out there at sunrise, sunset or any other time. 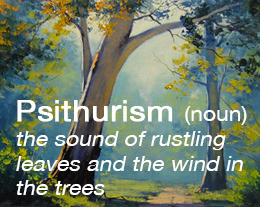 Hearing the sound of rustling leaves indicates that you have a connection to nature. There is something special about the effect of air currents on vegetation. Back in 1962, Bob Dylan, told us that the answer to many of the big questions is “blowin’ in the wind”. Fifty-five years later, it appears that many in our society don’t have time to listen to the wind, and therefore are missing out on hearing the answers that Mr Dylan promised. On Sunday 28th May, I was lucky enough to attend the launch of the Kaialgumm Games Trail Launch at Gold Coast Regional Botanic Gardens. The Kaialgumm Games Trail project is the first of its kind, aiming to inspire children to get out and active and explore Australia’s indigenous heritage through playing traditional games. years since the 1967 referendum and 25 years since the historic Mabo decision. For the launch of the Kaialgumm Games Trail, we were fortunate enough to have a beautiful sunny Gold Coast day with a light breeze to make sure the leaves of the botanic gardens were rustling. That breeze helped disperse the smoke from the wonderful Welcome to Country ceremony. A little later on, the wind cooled those of us who joined in the demonstration of a couple of the traditional games. Playing together in a lovely outdoor setting developed a sense of community for those present that hours of talk may not achieve. It was inspiring to see this process in action – hopefully, it will be replicated across the state before too long. The official naming of K’gari (Fraser Island) National Park made the news recently. 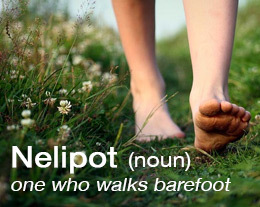 “K’gari” means “paradise”, and this is a wonderful step forward for a place where being barefoot is almost compulsory. I look forward to the day when visiting tourists tell us about the wonderful outdoor experiences they had on K’gari. 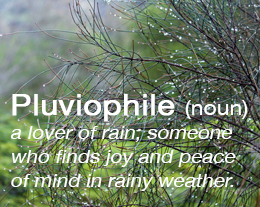 Rainy weather is one thing, but the most ardent pluviophile may be finding it difficult to find joy and peace of mind in the recent weather across so much of Queensland. At the time of writing, the full impacts of Tropical Cyclone Debbie and the resultant weather system are not known. Our extreme weather has highlighted the power of nature and shown why we must regard the earth with real awe. Although the much-needed rain will be considered awesome by some, the effects will be truly awful for others. If you are in need and the QORF network may be able to provide help, please let us know. Asking for help reveals strength, not weakness! If you know of someone who has gone above and beyond to ensure people in the outdoors are safe and well, please share the story with us. Preparedness, precautions, and risk/benefit analysis are part of what we do, but so is reflection on the benefits of outdoor activities. We should remember to share positive stories that emerge from difficult times, while respecting the needs of those who will be doing it tough. Queensland’s Great Barrier Reef is doing it tough, with mass coral bleaching events happening due to rising sea surface temperatures from climate change. The amazing ecosystem that is the Great Barrier Reef is at threat, and requires coordinated action to ensure that the Great Barrier Reef won’t become a historical trivia answer for future generations. Those of us who love and respect the outdoors need to play a part in the solutions – solutions are difficult, but we can start by ensuring that this issue is firmly on the radar of our politicians, no matter which part of the political rainbow they occupy. The QORF AGM was held on Thursday 9th March. Thanks to those who attended the AGM and those who nominated for management committee positions. Nature Play QLD hosted another very successful symposium at the Gold Coast Recreation Centre on Saturday 11th March. Perhaps I should have chosen the proverb, “It never rains, but when it does, it pours” this month. Please contact us if we can help manage the flow. Participants in outdoor activities regularly make judgements about whether perceived risk is outweighed by the benefits associated with the activity. Sometimes this process is conscious and documented, but other times the risk/benefit assessment is done in an instant. The Australian Adventure Activity Standards, (currently under development), aim to standardise good practices across the country to result in more people having wonderful experiences in the outdoors, with fewer incidents. Q. Why does Santa Claus engage in outdoor activities? A. For the elf benefits! (Believe it or not, I made that joke up all by mys-elf – and there’s another). 2016 is all but over for most of us. There is just the small matter of the Christmas/New Year rush for some. My heartfelt thanks to all of the QORF committee members, members and staff who have contributed so much to our activities over the last twelve months. The year that was 2016 and what it all meant for Queensland’s outdoors and QORF will be properly reviewed in our 2016 Annual Report and at our AGM on Thursday 9th March 2017 – feel free to put the AGM date in your diary now. The QORF office will be closed from Friday 23rd December 2016 to Monday 9th January 2017. After Christmas, I’ll be heading across Moreton Bay to Minjerribah to go camping for a week. I’m hoping that will recharge the batteries in readiness for whatever 2017 brings. We look forward to working with you next year in pursuing our mission of raising the profile, developing the capacity and increasing opportunities for outdoor recreation in Queensland – so that everyone can live life outdoors. She comes and goes, like summer rain. I wait all day for summer rain. And when she comes, I smile again. She cools my brain like summer rain. Summer has arrived again, and vast tracts of Queensland remain drought declared. Hopefully, summer rains will find the areas of our state that need it most. If you are looking for a Christmas present for the person who has everything, perhaps consider a donation to a drought relief charity on their behalf. Summer is always a busy time for the outdoors. Unfortunately, this can mean increases in incidents and accidents. Without wanting to dwell on the negatives, we can all learn from the recent spate of fatalities in snorkelling, diving, jet skiing, and other outdoor activities. The Australian Adventure Activity Standards, which are currently under development, aim to standardise practices across the country, with input from experienced people. If all adventure leaders adopt the suggested good practices or exceed what is recommended, the result will be more people having wonderful experiences in the outdoors, and fewer negative stories. Yours in the outdoors, rejoicing in the summer rain (even when it falls on my tent). Trends have come and gone during those twenty years, with QORF continuing to represent the outdoor movement. We take our role as a voice for the outdoors seriously – we are in a privileged position of being able to work both within and for the outdoor sector. QORF is proud to celebrate successes and achievements, so please take a moment to check out the winners and finalists of the 2016 Queensland Outdoor Recreation Awards, announced on Friday 28th October. While our society tends to focus on winners, every nominee and finalist is contributing to the wonderful things that happen in the outdoors. And, there are those quiet achievers who contribute without expecting (or wanting) recognition. Who knows what changes may eventuate over the next twenty years, and how the outdoors world will adapt? While change can be intimidating and sometimes threatening, it also brings opportunities. During our Outdoors Queensland – Strengthening Connections symposium on Friday 28th October, we discussed the past and the present, and actions that can be taken to continue to develop stronger connections into the future. Although the future has its uncertainties, QORF will continue to perform our role to the best of our abilities, to assist Queensland to have healthier, more productive communities through outdoor experiences. Thank you to all who have supported QORF during its first 20 years, and thank you to those who are excited and energised by what might be out there for us currently and into the future. Let’s keep it all as simple as possible – but not simpler! This year, we have provided Outdoor-tober seed funding to Passchendaele V1 Bouldering Festival and Walk at Work Week, both first time events being held during Outdoor-tober. We know that plenty of work goes into organising events, and we are pleased to be able to assist in our small way. Do you know what you don’t know? Do you want to share what you do know? Perhaps you would like to understand more of what people in the outdoor community know and don’t know. Join us at your Outdoors Queensland – Strengthening Connections symposium for a day of known unknowns … at the end of the day, the symposium is about how to encourage people to participate in quality outdoor experiences and obtain the real benefits that follow. Do you want to know who won the Queensland Outdoor Recreation Awards for 2016? The best way is to come to the awards evening, to celebrate achievements and be inspired by all of the finalists. The nominations received were amazing, and the judging process required difficult decisions to narrow the field to finalists and eventual winners. There is a societal trend towards last minute bookings, to the point that businesses have sprung up on the internet just for that purpose. The outdoors community seems proud of its counter-culture ethos, so why not consider bucking another trend, by booking early for the symposium and awards evening. Go on, unleash your inner rebel and booknow! You know you want to. QORF can provide information and encouragement, but ultimately, it is up to each individual to make decisions to change behaviours regarding our environment. QORF can highlight issues and discuss problems relating to the outdoor sector, but we need you, the interested reader, to become an active participant in the solutions. Your participation could range from becoming a Green Circle member of QORF and completing our surveys, letting us know about issues, informing us what is happening in your area, through to making submissions to all levels of government on policy or legislation relating to the outdoor world. You could nominate someone for a Queensland Outdoor Recreation Award to celebrate the great things that are happening in our environment, setting an example for others to follow – you can even nominate yourself! You could attend our symposium, “Outdoors Queensland – Strengthening Connections”, which will celebrate the diverse benefits that the outdoors provides for our community, looking at how the outdoors connects people, places and activities. Perhaps the symposium will inspire attendees to think about their behaviours in relation to the environment. To avoid anyone getting the wrong impression, I need to be clear that the Dalai Lama has not yet confirmed his attendance at the symposium, but there is still time for his people to connect with us. As always, please contact us if we can be of assistance. My wife and I have recently returned home to Brisbane after passing through parts of NSW, South Australia, the Northern Territory and Western Queensland on a three week road trip to Kings Canyon in Watarrka National Park and to Uluru/Kata Tjuta. This trip was an opportunity to observe people and places; to learn about ourselves and the red centre of this land; to grow our understanding of the past and perhaps the future; to love our people and country in all its various forms, and to return home changed in a few ways. I want to thank Mark Squires and Hubertien Wichers for managing the QORF office while I was off on my big adventure for this year. There is plenty ahead for the remainder of 2016, with Outdoor Recreation Forums to be held in Rockhampton (Tuesday 16th August), Cairns (Wednesday 17th August) and Toowoomba (date to be confirmed), the Queensland Outdoor Recreation Awards (nominations now open) and QORF Symposium (both on Friday 28th October), and much more. We are examining ways to achieve our mission of raising the profile, developing capacity and increasing opportunities for Queensland’s outdoor sector. A part of this will be a series of forums in November that we will run in conjunction with Queensland Tourism Industry Council to look at the overlap between tourism and the outdoors. We see outdoor activities appearing in virtually every tourism campaign for Queensland, so it makes sense to delve deeper into these opportunities. This quote from Alan Lakein is particularly relevant to us all in Australia this week. What the country decides this weekend will undoubtedly have an effect on our environment, our lifestyle, our education and our industry. So, as you enter the polling booth on Saturday, I urge you to think hard on who will represent you and your interests best, and who will make changes that will positively influence the direction of outdoor recreation in Queensland. Despite the election fever there has been quite a lot going on for QORF in the outdoors this month. Firstly the GROW with Nature Play app has been launched and is showing great promise. The huge amount of interest shown in the app at the recent Baby Expo is testament to the huge effort the NPQLD team put in to getting it ready. In addition, Anya Perkins, successfully delivered the first in a series of Forest Learning workshops with more being planned across the state. The Nature Play team farewelled Marketing Assistant Lisa Santoro this month who leaves to have a second child, and welcomed new Assistant Events and Marketing Coordinator, Tess Freund, to take her place. I attended the opening of the Redlands Track Park in Cleveland – a great new mountain biking facility for the south east, due in no small way to the efforts of QORF Committee Member Angela Wright. Imogene from NPQLD and I also attended a social media strategy workshop to learn better ways to plan our marketing campaigns using this increasingly important platform. The biannual QORF Symposium, ‘Outdoors Queensland – Strengthening Connections‘ will be held on the same day as the Awards dinner – put Friday October 28th in your diaries now and plan to spend the day ‘strengthening connections’ and planning for the next 20 years! Yes, it is QORF’s 20th anniversary this year so watch out for a special announcement later on in the year! The Outdoor Recreation Forums are on again – starting up in Cairns on August 17 and with dates to be confirmed in other locations soon. Take care out there next and rug up for the unusually cold weather we seem to be having at the moment. QORF has been asking questions about what we do for others, what we should do, and what value is placed on QORF activities by our members. We’ve released a summary of our Outdoor Sector Survey for your information. Please have a read, and let us know if you have anything to add. The sector survey highlighted the value that is placed on advocacy by QORF members, and I am pleased to advise that our advocacy in relation to amendments to the Nature Conservation Act resulted in the adoption of amendments proposed by QORF (and others in our sector) to ensure that outdoor recreation and outdoor education activities remained enshrined in the management principles of both national parks and conservation parks across Queensland. QORF will use feedback from the sector survey to inform conversations with the State government Department of National Parks, Sport and Racing around on-going funding of the outdoor recreation sector, including the funding of QORF’s activities. Winners of the 2016 Visioning the Outdoors Film & Photo Competition have been announced. Thanks to all who entered – by filming or photographing those terrific moments in the outdoors, you are all winners in our eyes (fine print – you can’t all claim the competition prizes). Nature Play QLD has launched the “GROW with Nature Play” app, to encourage parents of babies and toddlers up to 36 months of age to unlock the secrets of playing in nature to grow super healthy happy children. The app is available for purchase, and that revenue will support the important work of making nature play a normal part of childhood again. On a personal note, my wife and I attended A World Apart Festival on Saturday 26th May. It was great to see so many people enjoying the wonderful Mt Barney region, and getting a taste of what is on offer when we are out and about. Lunch and bush tucker tour with Innes at Mt Barney Lodge (a QORF Green Circle member) was a true highlight. During June/July, my wife and I will be joining friends in an outdoor adventure, driving from Brisbane to Uluru/Kata Tjuta via Kings Canyon, and camping along the way at various locations. I’ll be out of the office for three weeks, but the QORF team will be able to cover my absence, while I’m away. We constantly hear about how busy our society has become. There seems to be a never ending competition to collect as many things or experiences as can be squeezed into one lifetime. To re-connect with the earth’s music, we don’t necessarily need to leave society behind (although that can help). We can all go outdoors, just in our neighbourhoods, and allow ourselves time to breathe and listen. When did you last listen to the music of the earth? Our sector is ideally placed to be able to “make time” during our busy days (and nights) to do this and reap the personal rewards. We can introduce others to the magic of the outdoors and see first-hand what a difference this connection can make. Voting is now open for People’s Choice for the Visioning the Outdoors Film & Photo Comp – prepare to be inspired as you check out the entries submitted by some very talented people. Thanks to those who found the time to complete QORF’s recent sector survey. The survey information you provided will assist in our mission to provide meaningful services to Queensland’s outdoor sector – and will hopefully allow even more ears to be opened to the music of the outdoors. “Look deep into nature and you will understand everything better” – Albert Einstein. We held another successful rock-climbing forum on Thursday 3rd March, our outdoor recreation forum and our Annual General Meeting on Thursday 10th March. We are also attending the National Outdoor Education Conference from Tuesday 29th March through to Friday 1 April (NOEC 2016 is organised by Outdoor Educators Association of Queensland – a QORF member). Our AGM was well attended. QORF welcomed two new members to our Management Committee – Ginny Mitchell and Donna Little. The management committee met immediately after the AGM and elected office bearers for the year ahead, being Andrew Boyle (President), Dave Hills (Vice-President), Allana Bold (Secretary) and Murray Stewart (co-opted Treasurer), with Donna Little, Ginny Mitchell, Ian Heath, and Angela Wright completing the committee. The QORF Annual Report 2015 is available on our website. Also on our website is an outdoor sector survey, which was released on the evening of our AGM – I strongly encourage all of you to take a few minutes to have your say by completing the survey, and help us to understand everything better. QORF’s Nature Play QLD project team has been very busy with our Reviving Neighbourhood Nature Play forums in Cairns, Gold Coast, Ipswich and Brisbane (from 14th to 18th March). Nature Play QLD was a partner in the Sustainability in Action Outback Bus Tour over the Easter long weekend – a conference held on a bus through western Queensland from Mt Isa, Hughenden, Winton, Longreach, and places in between. QORF is your federation – if we can be of assistance, please contact us. I’m pleased to say that I started 2016 in a very enjoyable outdoorsy manner – camping at Cylinder Beach at Minjerribah (Straddie) for a few days. It was a good reminder for me of how very fortunate we are to have such wonderful opportunities in Queensland. 2016 marks the 20th anniversary for QORF. 1996 was a year of change – in addition to the foundation of QORF, Rob Borbidge succeeded Wayne Goss as Premier of Queensland, John Howard took over from Paul Keating as Australia’s Prime Minister, and a new-fangled thing called the “internet” expanded from one million computers to the unimaginable figure of ten million connected machines! In 1996, the Spice Girls had their first No.1 hit song, and with varying levels of success, people were “doing the Macarena”… Without wanting to comment on the political happenings or offend the Spice Girls’ legion of fans, the establishment of QORF obviously stands out as the high point of the year. Within QORF’s on-going mission to raise the profile, develop capacity and increase opportunities for outdoor recreation across Queensland, we are looking at options to appropriately celebrate this milestone for QORF – if you have any suggestions, please let us know. The QORF AGM will be held on Wednesday 9th March, which is fast approaching. If you want to play a greater role within the outdoor sector, a position on the QORF Management Committee may be for you. At least give it some thought – if you are interested, perhaps speak to current members of the committee. I hope that 2016 is a terrific year for all. If there is anything the QORF team can do to help, please let us know. What do you call Father Christmas at the beach? Sandy Claus! My thanks to all QORF staff and the members of the Management Committee who have contributed to our successes over the last 12 months. 2015 has been a year of change for QORF staff and QORF Management Committee. Throughout these changes, QORF has continued to represent our members and focus on our mission of raising the profile, developing the capacity and increasing opportunities for outdoor recreation in Queensland. Recently, QORF made a submission to the Queensland Parliamentary Committee in relation to the Nature Conservation Act and Other Legislation Amendment Bill. Our submission was about ensuring that outdoor recreation and education activities continue to be specifically provided for in National Parks and Conservation Parks, and improving consultation in relation to outdoor recreation across Queensland’s protected area estate. The committee is scheduled to report in February 2016, so we will be keenly watching that space and providing further information. In early December, I attended the Australian Mountain Bike Summit at Mt Buller, Victoria, which was of course focussed on mountain biking, but also provided information of relevance to other outdoor recreation activities, particularly in relation to promotion of activities/destinations to attract tourism and the almighty dollar. We’ll provide more detail about that in 2016. With the revamped Cabinet team announced by Premier Palaszczuk on Monday 8th December, the Hon. Curtis Pitt MP is now Queensland’s Minister for Sport (and Recreation), in addition to being Treasurer and Minister for Aboriginal and Torres Strait Islander Partnerships. Mr Pitt was Opposition Spokesperson for Sport and Recreation from April 2012 to February 2014. QORF has requested a meeting with Mr Pitt to discuss outdoor recreation. As advised in the previous newsletter, the QORF office will be closed from Friday 18th December 2015; reopening on Monday 4th January 2016. I will have the mobile phone with me, so please call me for urgent issues. Merry Christmas from QORF, and a happy New Year! While the school year is drawing to a close (or already ended for some) and the summer holiday period is rapidly approaching, some parts of the outdoor world will enjoy a well-earned break, but others will be busily preparing for their busiest time of the year. Without wanting to get too political, our world leaders are currently gathering in Paris for (another) summit on climate change. Our hearts have gone out to Paris and France in light of the recent terror attacks, and it is wonderful to see important people still gathering in Paris to tackle such an important issue. Hopefully, meaningful consensus will be reached on action on that front – if not, one wonders how future generations will manage to enjoy the outdoors (SPF 200+, perhaps?). Plenty of the Queensland’s summer focus will be on water-based activities, whether that be at the ocean, beach, lake, dam, river, creek or maybe a little known waterhole somewhere. Over 80% of our State is currently in drought, which makes water-based recreation seem like a luxury at times, however it can also provide a much needed break from our heat. 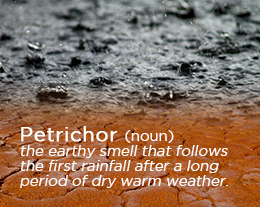 Recent storms have brought welcome downpours to parts of the state, but it has not been drought-breaking rain. We should keep in mind the very resilient people who are doing it tough throughout the state – a donation to one of the worthy drought-relief charities might be a good Christmas gift for someone in your life who already has everything. The QORF office will be closed from Friday 18th December 2015; reopening on Monday 4th January 2016. I will have the mobile phone with me, so will be able to assist with anything urgent – phone reception may be patchy while my wife and I are camping with friends at Minjerribah (North Stradbroke Island), but I will check for messages periodically. Thanks to those of you whose work over this peak period will allow the rest of us to enjoy our breaks (especially the good folk looking after the campers at Minjerribah) – here’s to summer adventures! Outdoor-tober is finished for another year, and we now seem to be on the slippery slope towards 2016. Congratulations to the finalists and winners of the 2015 Queensland Outdoor Recreation Awards, which were announced on Friday 30th October. Thank you to those who nominated the very worthy finalists for these awards. Thanks to those who attended a terrific evening at a beautiful venue and my thanks also to the sponsors of the evening – Queensland Government, Brisbane City Council, K2 Basecamp, Riverlife Brisbane and Nature Play QLD. As you will see elsewhere in this newsletter, the winners of the 2015 awards came from across the State and represented a wide range of outdoor recreation pursuits – from blue-water sailing, cycling, outdoor education and a forest school, scouting and PCYC, adventure racing, mountain biking, through to off-road motorcycling. We also had a local government winner and a State government winner in one category. While wary of singling out award recipients, it would be remiss of me not to highlight Donna Little’s public recognition as a Life Member of QORF on Friday evening – an honour which was approved at the QORF AGM in March 2015. This ceremony wasn’t a secret or a surprise, but it represented a very special moment for our organisation. Life Membership is the highest honour that QORF can bestow, and is conferred upon individuals who have rendered distinguished service to QORF and/or to the wider recreation community in Queensland. The QORF Rules explicitly state that “Life Members will be held in the highest esteem”, which certainly applies to Donna. Donna joins the select group of Life Members of QORF – previous life members are Dave Batt, Kathy Kingsford, Brian Kross and Rob Simson. Please join me in congratulating Donna on her admission to this group. You are no doubt aware of people and organisations doing wonderful things in outdoor recreation in our state – please consider submitting a nomination or nominations for the 2016 Queensland Outdoor Recreation Awards. While 2015 is slipping away, there is still plenty going on. QORF will be hosting a rock-climbing forum on Friday 27th November, at which we are hoping to start a discussion on the current or emerging issues for rock-climbing in Queensland. More information on this forum is on our website [insert link]. Hi all, and thank you to all who have made me feel welcome in my first few weeks as Executive Officer of Queensland Outdoor Recreation Federation. QORF primarily exists to help people, by raising the profile, developing the capacity, and increasing opportunities for outdoor recreation in Queensland. QORF’s staff members are a dedicated group of people who work hard to make a difference to our community, and I thank all of the QORF staff for their assistance, especially while I have been getting started in the role. I want to acknowledge the work of my predecessor, Murray Stewart. In addition to his work for QORF for the last few years, Murray has found significant time to hand-over details of projects and to try to make my transition into the EO role as seamless as possible. Although Murray has taken on the awesome role of CEO of Rowing Qld, Murray has agreed to continue his relationship with QORF as Treasurer of our Management Committee. 1. Why aren’t you a member of QORF? 2. What could/should QORF do to attract new members? Please let us know what you think via whatever means suits you. 3. Development of Australian Adventure Activity Standards. There is more information elsewhere in this newsletter on the Sport & Rec survey. Information on the Australian Adventure Activity Standards will be released shortly. QORF will provide updates, and we will advise once drafts of the new national standards are released for public consultation. Please find time to make your voice heard – you might save hours in the future, if you take a few minutes to contribute now. If you need some inspiration for outdoor activities, you can always visit the Discover section of the QORF website. There is no shortage of things to do – it is just a matter of choosing, and then getting out and doing it. Remember to take your cameras – if you snap a few good pics, maybe enter QORF’s Visioning the Outdoors photo comp next year. Finally, the Queensland Outdoor Recreation Awards evening is on Friday 30 October – we received terrific nominations for the awards, so get your bookings in now to join us in celebrating another year of living life outdoors. Recently with Seqwater, Dom brings with him a wealth of experience in managing outdoor spaces and the needs of the outdoor recreation community. In 2003, I travelled around Australia by motorcycle, camping along the way – an adventure that recharged and focussed my entire being. What an inspiring and poignant couple of days at the Kids Outdoors 2030 conference. People, we have some serious work to do!!!!!! The breadth of speakers and real world examples they provided gave everyone in the audience some immediate actions to make a difference to kids’ experiences over the next 15 years. This was very different to the usual event with experts from outside the camps and outdoor recreation sector identifying how important is what we do. Dr Judith Locke encouraged us to stay true to our beliefs and not be swayed by over-parenting. Norm Hunter continued his unpacking of multiple intelligences to show the benefits to getting kids outdoors and Dr Rachael Sharman showed us the benefits of letting kids fail. I could carry on for hours but will wrap it up by saying if you were not there then you missed a life/business-changing event. While there are hundreds of thank yous in relation to the event I do want to just highlight a couple of people who went above and beyond. Bec Fox, from Exceeding Expectations, delivered a diverse and inspirational program; Mark Squires, from QORF, managed all the registration and operational aspects of the conference which worked seamlessly; all the QORF, Nature Play and ACA staff and volunteers thanks for your help; and the Queensland Recreation Centre team thank you for ensuring everything ran smoothly. For those of you who attended, the conference videos and presentations will be available soon. For those that did not attend you will be able to purchase copies of the presentations shortly. Keep an eye on the QORF website for details. I just wanted to remind everyone that Outdoor-tober is rapidly approaching so start to think about what event your organisation might do in October. The Great Aussie Camp Out is on Saturday 10 October and continues to grow in popularity each year. Atherton is hosting its inaugural Bike Fest from 16 to 18 October. This event is getting bigger and bigger by the day. We all hope you are enjoying the school holidays and spending lots of time outdoors. Remember if you are looking for something to do just visit the QORF Discover section of the website. What happened to May?? Early bird closed already and Kids Outdoors 2030 only 31/2 weeks away. Great to see a real diversity of people coming along to the various events and looking forward to catching up with you all. A huge thanks to Bec Fox, from Exceeding Expectations, for working tirelessly in developing the great program we have on offer. There is truly something for everyone that lives life outdoors. After last month’s newsletter a number of you asked me why the Statewide Outdoor Recreation Framework had been removed from the NPSR site. Do not panic it is still moving ahead but is being updated to reflect the new administrative arrangements. As mentioned previously, this framework is a real game changer for outdoor recreation in Queensland. QORF and Sport and Recreation Services, South East Region, hosted another Queensland Mountain Bike Forum on May 12th and it was great to have representatives from as far away as Atherton and Mt Isa. Many topics were covered by a range of speakers and if you would like a copy of the notes please let me know. At the forum we released the Regional Solutions plan (see below) and I do want to thank Donna Little and the working group for their efforts in developing this document. Quick happy birthday to Nature Play Queensland which turned 1 during May. If you have not been back to the Nature Play Queensland website for a while I encourage you spend 5 minutes and explore all the great new research and things to do. Like Nature Play QLD on Facebook while you are there to keep up with the latest Nature Play news. School Camp & Activity providers remember you only have till Friday to submit your industry survey. This data will create a baseline for future surveys and give you the latest industry statistics and ratios to enable you to make better business decisions. If for some reason you have not received the survey please contact Nicole in the QORF office. As mentioned above looking forward to seeing you all on the Gold Coast at the end of the month. Great news to start the newsletter with – the Statewide Outdoor Recreation Framework is back and underway. QORF and the Queensland Government departments have all been working hard to finalise the project plans that fit under each of the commitments. Watch the QORF and NPSR website for updates and projects start to hit the ground. For those of you in the State’s South East hope you stay dry and fingers crossed this weather does not eventuate into anything nasty. For those of you in the west hope this rain makes it out to you and for the rest up north we know you will be living life outdoors with your sunny 30 degree days! I would like to start by welcoming some old and new faces to the QORF Management Committee after the recent AGM. Greg Dunk from Life Stream Australia joins the committee and brings a wealth of experience from the disability services sector. Long serving member Ian Heath from Scouts Queensland has returned for another 2 year stint as has Allana Bold from Rosco Canoes & Kayaks. A huge thank you to retiring committee member, Steve MacDonald who did not stand for re-election. The executive make up continues unchanged from 2014 with Andrew Boyle QORF President, Dave Hills Vice President, Allana Bold Secretary and Ian Heath continues as stand in Treasurer. On that note we are looking for a person with accounting skills to join the QORF Management Committee to take on the Treasurer’s role. In recent years this person has been co-opted onto the committee for 1 year so they can be from any QORF member organisation and do not need to follow the usual nomination process. If you are interested or if you know someone that would be interested please let me know. As you can see from this bumper edition of the newsletter there is a lot happening in the QORF world. We all get far to many emails so we are committed to keeping unwanted emails out of your inboxes. What you will find, moving forward, is a greater use of the QORF Facebook, Twitter, YouTube and Instagram accounts plus regular updates on the QORF website. To keep abreast of everything happening please like us on Facebook, follow us on Twitter & Instagram and regularly visit the website for the latest news and events. I do need to say a huge thank you to Mark for making all this happen. I do also want to congratulate Bushwalking Queensland for their launch of the peak bushwalking season last weekend. For those of you that did not make it you missed out on possibly the best chocolate cake I have tasted. Looking forward to seeing lots more people on the trails over the coming months. Have a great Easter break and stay safe in the outdoors. The camper trailer is loaded and ready to go in the garage so let’s hope the weather holds off. If you are Instagram’ing or Tweeting photos of the great outdoors don’t forget to add the hashtag #qorf. It only feels like a few days since we were writing the last newsletter. The start of 2015 certainly has been busy. For those of you who get excited about all things government, the new Queensland Government has spelt out its administrative arrangements. There is still some confusion around which Minister recreation fits under and this has been raised by QORF. You will also notice that Recreation has been removed from the departmental name which is now National Parks, Sport & Racing. I have questioned this with departmental staff who assure me that this is is not to be viewed as a lowering of the importance of outdoor recreation within government. I hope to catch up with our new Ministers soon to discuss the initiatives that we have ready to go. Just a quick reminder for 2 upcoming March happenings, the Outdoor Recreation Training Package review forum and immediately following, the QORF AGM, both on March 12. If you are not able to make these in person you will be able to Skype in. Just remember that you do need to register for both events if you are attending in person or Skype’ing in. We are also putting the final touches on our Kids Outdoors 2030 conference and workshops. 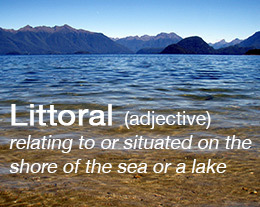 Please pencil June 26 – 29, 2015 into your diaries. Hope to catch up with most of you at the AGM. I realise that you are all probably Christmas newsletter’ed and messaged out so I will keep it short. A big thank you to everyone that supported QORF and Nature Play QLD throughout the year. I would just like to say a special thanks to Hyahno, Mark, Nicole, John, Alana, Kurt, Jeanette, Michelle, Liz, Jillian, Norm, Geoff, Donna, Gillian, Andrew, Tim, Sherryl, Anita and the QORF management committee who have again done a fantastic job keeping the QORF wheels not only rolling but really powering. Wow, when you look back we certainly have had many hands helping out this year. FYI: The QORF office will be closed from Friday 19th December 2014 to Monday 5th January 2015. I will have the mobile and laptop with me so if there is anything urgent please let me know. Once again, all the QORF team would like to wish you a merry Christmas and happy New Year! Hope everyone is enjoying the run up to Christmas whether it be the busiest or quietest time of the year for you and your organisation. The QORF office will be closed from Friday 19th December 2014 to Monday 5th January 2015. I will have the mobile and laptop with me so if there is anything urgent please let me know. We now have an operational framework to guide the selection and management of horse riding trails in QPWS managed areas; we have a Statewide Outdoor Recreation Framework that will deliver answers for many of the questions that have been in the “too hard” basket in the past; we have industry specific working groups providing information (to and from) outdoor recreation users enabling QORF to make informed decisions about future initiatives; we have a “grass roots” program enabling more Queensland kids to get outside more often (Nature Play); and many more smaller but no less important initiatives happening. The Queensland State Government, SEQ Water, Regional Councils and working group members and organisations need to be congratulated and thanked for enabling great outcomes for the outdoor recreation community. I really do want to thank everyone who has supported QORF this year, it certainly has been busy. 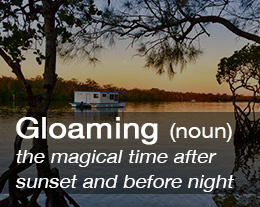 In 2015 we have big plans to help get more Queenslander outdoors – so watch this space! Another Outdoor-tober done and dusted. Wow the year is certainly moving quickly. A huge thank you to all the organisations and individuals that held or supported Outdoor-tober events this year especially the Great Aussie Camp Out crew. Some good news to start! QORF has been shortlisted to receive a Medibank community grant to help get older Queenslanders outdoors and active. Voting for these grants will begin soon and we need everyone here to spread the word and vote for us. More details soon so keep an eye on your inbox. We had an extra special announcement at the awards dinner on Friday with the Minister announcing that on 20 October 2014, the Queensland Government had endorsed the Queensland Government Statewide Outdoor Recreation Framework. I would like to thank the Minister and all the National Parks, Recreation, Sport and Racing team for their efforts in making the framework a reality. We now have an opportunity to “join up” with Government and make Queensland the Outdoor Recreation capital of Australia. Keep an eye on the QORF website for more details as they become available. Here comes Outdoor-tober and if you have an outdoor event planned for October let us know so we can add it to the calendar. 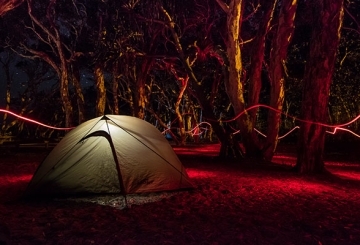 One of the big Outdoor-tober events is the Great Aussie Camp Out (GACO). We have got GACO patches available for anyone hosting a GACO event to give to participants. If you would like some badges please let us know and we can get them to you. You may have already seen the QORF submission in response to the Queensland State Land Discussion paper. Our submission has received many comments from a wide cross section of outdoor groups. If you currently use state land reserves then you need to have a read of the submission so you understand the possible implications to your business or organisation. On the trails front we have continued to work with QPWS in exploring opportunities to reopen historically used horse riding trails. We have just about got all the legal and operational issues worked out and will soon be calling for expressions of interest from members of the horse riding community to act as volunteer regional coordinators. If you are interested in taking on one of these roles please let us know and we can send you the EOI forms. The Mountain Bike Working Group has also been busy exploring, mapping and analysing regionally significant trail opportunities. We will hold another MTB forum in November to work through our findings with the wider community. If you are in the Fraser Coast area set the afternoon of 6th November aside for a Regional Outdoor Recreation Forum. QORF, QPWS, Sport & Rec Services plus the Fraser Coast Regional Council will be available for the local outdoor community to catch up with. More details to follow and if you are interested in attending or making a quick presentation at the forum just let us know. Don’t forget to make your bookings for the Outdoor Recreation Awards Dinner. We are really looking forward to the night at Riverlife and hope to see old and new faces this year. It has just occurred to me that this is my 12th newsletter and therefore it has been 1 years since I started with QORF. Looking back we have seen some major changes at QORF over the past 12 months and I look forward to the next 12. Can I say a big thanks to everyone for all your support over the last year. I would like to welcome Ben Rothwell back to the QORF office. Ben is jumping into the Nature Play world and will be overseeing the “Passport to an Amazing Childhood” program. We have had an unbelievable response to this program with more than 30,000 passports going out to Queensland kids already. If you would like to engage your business, outdoor centre, club or activity with the Nature Play passport program feel free to give Ben a call or send him an email passports@natureplayqld.org.au. QORF is also expanding support northwards with Tim Trehearn coming on-board to help out in North Queensland. Many of you would already know Tim from his various paid and volunteer roles up North so please welcome Tim to the team. Tim will be based in Cairns and his email is nq@qorf.org.au if you would like to get in touch with him. I want to add another quick plug for the Outdoor Recreation Awards and Outdoor-tober events. If you are wanting to nominate a person, event or organisation for the awards or thinking of hosting an Outdoor-tober event please feel free to give us a call for help. We realise that many people in the outdoor world are volunteers and therefore limited for time, so please contact us if you need a hand. Please also pencil 9 October into your diaries. The Queensland Government is hosting a “Changing Face of Participation” forum and this is especially relevant to the outdoor sector. Details are just being finalised and we will send around your invitation soon. More details will be available on the QORF website shortly. Well it’s that time of the year again and the Ekka winds are just waiting for next week. This means Outdoor-tober is not far away and the QORF office is getting busier. GACO is planned for Saturday 11 October and it is shaping up to be bigger again. We have moved the Outdoor-tober dedicated website back into the QORF website to make loading and promoting events much easier. I encourage everyone to think about how they can get involved with both GACO and Outdoor-tober . I am heading up to the “Naturally Beautiful” North Burnett next week to host our first outdoor recreation forum outside South East Queensland & Cairns. The North Burnett region is loaded with fantastic outdoor recreation opportunities and we hope to discover some untapped ones at the forum. There are nearly 500,000 hectares of Protected Area Estate in and around the region, as well as numerous lakes and some of the best off track bushwalking you will find. If you would like to come along to the forum it is next Thursday at the RM Williams centre in Eidsvold. Just visit the QORF What’s On page for more details. Good news if you are running an event in the outdoors. QORF was lucky enough to be awarded some funding under the State Government Caring for Community Initiative. We now have a ready to go events trailer with marquees, tables and chairs, PA system, timing equipment and generator. Many QORF members had indicated to us that the cost of hiring this equipment was stopping a number of community outdoor recreation events from happening. We are hoping that this free resource will enable a whole lot more events to happen in the outdoors. If you would like more information on booking the events trailer just give us a call. Writing this report from sunny Cairns and about to jump on a bike and head to Smithfield for a quick afternoon blast. Very jealous of the amazing outdoor recreation opportunities around the area and a big congratulations to all the recreation and community groups who make this possible. I hosted the Cairns Outdoor Recreation Forum on the 26th and it was great to catch up with everyone. In the room where representatives from local mountain bikers, bushwalkers, 4wders, motor-bikers, quad riders, horse riders, school camps, environmental ed centres, Scouts, commercial operators and many other organisations and user groups. A big thanks to James Newman and Erika Gee-Kot from QPWS and Sport & Rec Services for providing updates and answering questions. It was also great to hear good news stories and explore new opportunities with the room. I will get all the information from the evening together and up on the QORF website soon. The rest of the QORF team are about to jump on a plane and join me in Townsville for the Nature Play roadtrip. We are launching the program in Townsville on the 1st, Cairns on the 2nd and Sunshine Coast on the 4th. For more details visit the Nature Play website. Bike is waiting so ciao for now. Winter? What winter? Hope you have all enjoyed the very mild autumn we just had and managed to spend plenty of it outdoors. I recently took a trip up Flinders Peak with QORF trail guru Andrew Graham and the Ipswich City Council team, and it was really encouraging to see how much more use this trail has had over recent times. It is fantastic to have a class 5 walking track so close to the city that can be climbed in a single day. The views from the peak are amazing and well and truly worth the effort. 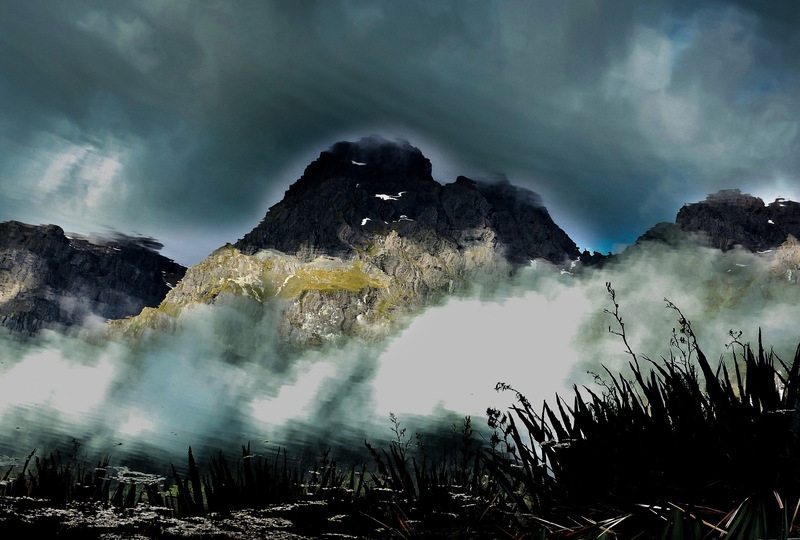 Click here if you would like more information on Flinders Peak. On that note QORF is chairing the recreation working group for the Flinders Karawatha Corridor Management Strategy 2014-2019 which has now been finalised and is available here. There are some fantastic outdoor recreation opportunities in this area and we are looking forward to working with the state government, local councils, other NGO’s and traditional owners to develop these opportunities. We have a busy schedule ahead with Outdoor Recreation Forums being held in Cairns (26 June), North Burnett (7 August) and Fraser Coast (6 November). A Brisbane forum is also planned for October but the date has not been locked in just yet. If you would like more information of these forums just get in touch. We will also have more information up on the website shortly. QORF is also dipping its toe into the Natural Resource Management world developing a partnership with SEQ Catchments to rehabilitate some recreational fishing spots that have been loved to death. The first location is at Myrtletown, which is on the Brisbane River beside the airport. Over the coming weeks we will be developing surveys and gathering information on the needs and wants of users so if you fish or play in this area we would love to hear from you. As mentioned in the newsletter proper, I would also like to personally thank all the volunteers who helped out at the Nature Play Queensland launch in New Farm Park. A big congratulation to Hyahno and the Shout Communications team for delivering a fantastic event. We look forward to seeing all the Nature Players in Cairns, Townsville and the Sunshine Coast very soon. Hope you enjoy our first newsletter within our new website. Like the website we are still debugging everything so if you find any problems with links or functionality please let us know. Member’s webpages are also now loaded on the website so have a look at your page and if you have any comments or suggestions again please let us know. Mark has gleefully handed the website over to the rest of the team and has not only taken a holiday, but decided to tackle the Camino Trail to make sure we cannot contact him. With this in mind I ask consideration that we may not be able to respond to questions immediately. The QORF office has been very focused on the Nature Play QLD launch happening this Sunday at New Farm Park. It is shaping to be a big day with 150 kids ready to take on some mud pie making, cubby building and just messing around outside. We have invited a number of media along so keep your eye on the news. Post Sunday we are ready to chat with everyone in the QORF world about how Nature Play QLD can partner with your organisation. The success of the Nature Play program is going to hinge on everyone getting on board. See below for more Nature Play info. We were seriously considering playing an April Fool’s joke on everyone but thought the truth is sometimes more unbelievable. According to the US – The Outdoor Recreation Economy report (2012) Americans spend more on bicycling gear and trips ($81 billion) than they do on plane tickets and fees ($51 billion); more American jobs depend on trail sports & recreation (786,000) than there are lawyers (728,200) in the US; and the more than 725 million visits to US state parks provide a collective $20 billion benefit to communities surrounding state parks nationwide. This report also values the economic impact of Outdoor Recreation through the economy at $1.6 trillion annually. READ MORE. Just consider these findings: Outdoor Recreation employs 6.1 million people in the US; US agriculture employs 2.0 million, mining employs 2.1 million and construction employs 5.5 million. I think we should just leave it at that. We do need to welcome some new faces to the QORF team. Nicole Martin joins us as Office Manager and many of you would have already spoken to her on the other end of the phone. Nicole has recently seen the light and moved from Victoria to Queensland. John McNaughton has also come on board as our Sector Capacity Building – Project Officer. John will continue to administer NOLRS and be our go to person for all things training and development. I would also like to welcome the new and continuing members of the QORF Management committee (see below for details). 2014 promises to be a busy and exciting year – new programs, new staff and a new look! Nature Play QLD was launched this week and already the interest and support from organisations and, more importantly, mums and dads is encouraging. There is a lot under development so watch this space! – LIKE the Nature Play QLD Facebook page, check out the website and sign up for the newsletter. Our congratulations go to Ben Rothwell on his appointment as the new Camp Manager at the YMCA Warrawee properties. He had been with QORF for a couple of years working primarily on training issues and running NOLRS. He will be missed. We are currently interviewing for someone to replace Ben and plan to have the new Project Officer, Capacity Building on board soon. We are also employing a new Office Manager – an offer has been made and we will make full introductions in the next newsletter. In the meantime, we keep busy working hard for the outdoors in Queensland. Well where has January gone. Feels like Christmas was only yesterday! To our friends in the north our thoughts are with you as cyclone Dylan is crossing the coast. Good news to start the year with the Queensland Government allocating $250,000 per annum for the next three years to OQRF to support the outdoor industry and encourage participation in outdoor recreation. For those of you who love to read our annual reports you will note this is a 15% decrease in the previous funding agreement which does impact on the services we can deliver when you consider almost 70% of our revenue comes from this agreement. Obviously we will be working hard over the next 3 year to find other income streams for QORF to continue to deliver industry needs. We are also yet to finalise the KPI’s around the funding agreement but I can confidently say that they will be very grass roots focused with a bigger push into regional areas and a definite target to increase participation. All in all the certainty of this funding allows us to get on with the job. Our AGM is set for March 13 and we will be holding an industry workshop prior to the AGM. We are still finalising the details of the workshop but please pencil this date into your diaries. More information on the AGM is following but I would ask that if you have ever consider playing a bigger role within the outdoor sector a position on the QORF management committee is a great way to do it. We have 3 positions up for election and will also be looking for a co-opted member that can bring accounting knowledge to the management committee. The co-opted position does not need to be a current member of QORF so if you know someone that has a passion for the outdoors and an accounting background please let me know. We have a couple team planning days set aside next week where we will be working through our operational plan for 2014 and beyond. As part of this process we will be reviewing the current events and activities that QORF undertake to ensure they are what is needed. By the next newsletter we will have more details on what is happening when so please watch this space. We hope that you have profitable, interesting, successful and adventurous 2013 and if there are ways that we can help you let us know. We are always keen to hear from our members about what you are doing, what news you have, and the issues that you might face.